It’s been busy around here! My brownie biz has been ramping up, and I’m just about to have more time to dedicate to it, which is very exciting. Today I took some product shots. 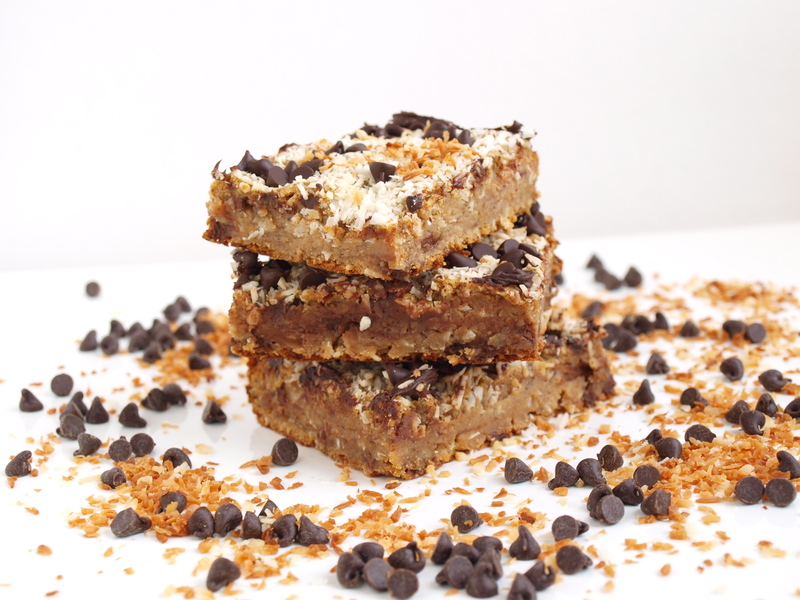 Here is the newest flavor, the Shockingly Healthy Coconut Chocolate Chip Blondie. Time for you to order, dontcha think? Sometimes being busy means drinking your food can be more convenient than chewing it. Luckily I’ve been making some really delicious smoothies to get me through when I’m running out the door! I’m a big fan of getting greens in ways that don’t always taste savory. I don’t mind if my veggies are hiding sometimes. What can I say, I’ve got a sweet tooth! 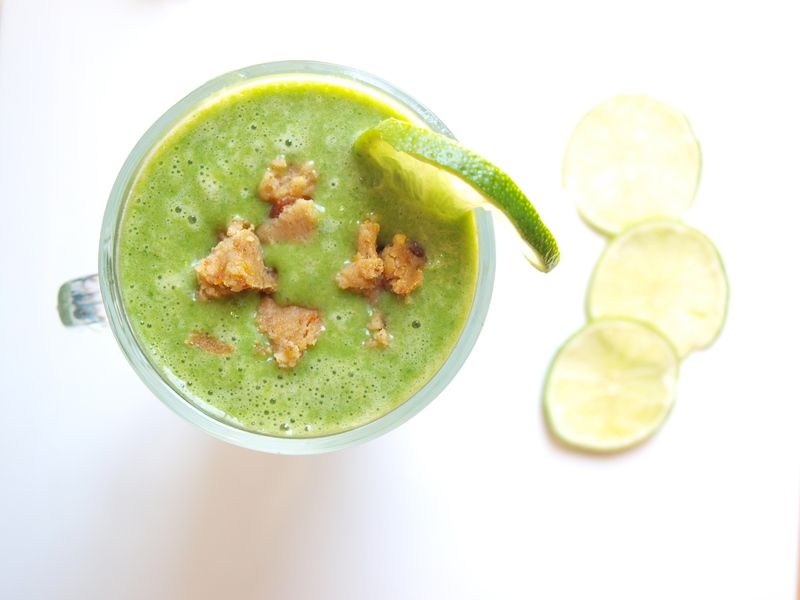 When you make the flavor of the drink “green” all the better! 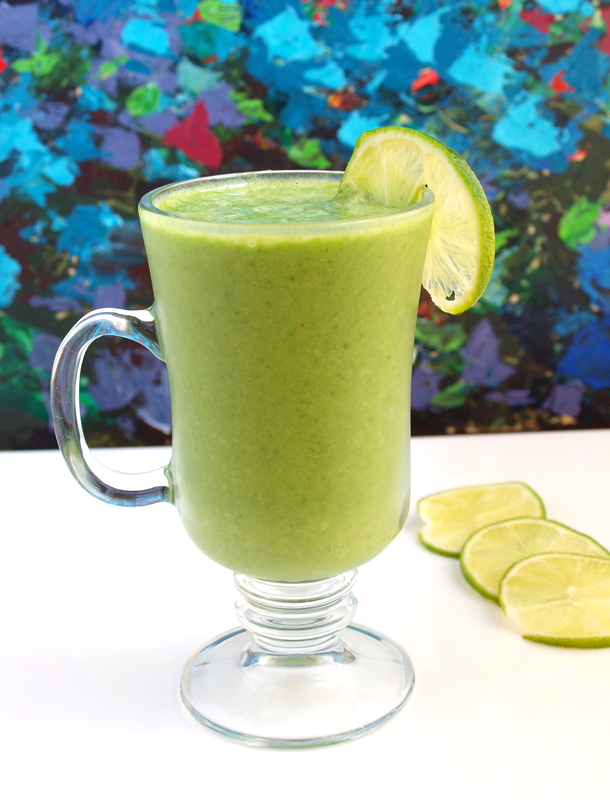 This smoothie is super refreshing, and satisfying in a dessert kind of way, though you get a decent serving of spinach in the process. I like when my spinach is sneaky 🙂 Onto the recipe! Blend and enjoy! Here I’ve topped it with some crumbled lemon blondie! I’m experimenting with some potential ‘flavor of the months’ around here.